NO PURCHASE OR PAYMENT NECESSARY TO ENTER OR WIN. A PURCHASE WILL NOT INCREASE YOUR CHANCES OF WINNING. 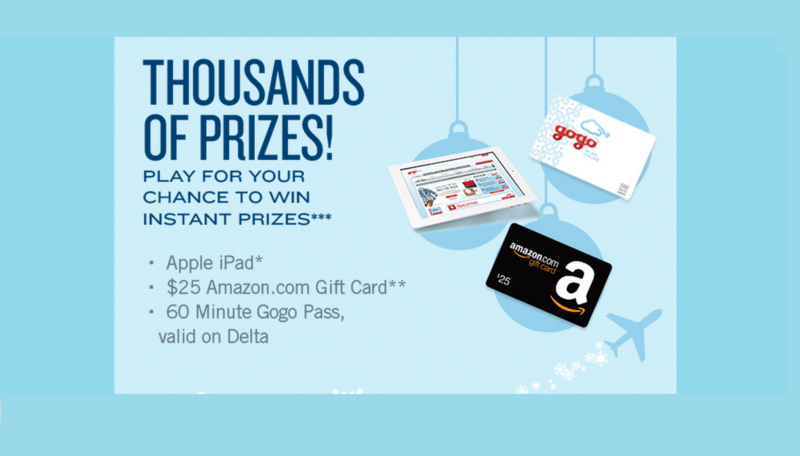 The Gogo® Holiday Prize Plane Instant Win Game & Sweepstakes starts 11/26/13 at noon ET and ends 1/2/14 at 11:59:59 P.M. ET. Must be U.S. resident, 18 or older. Void where prohibited. CLICK HERE for complete details and Official Rules, including how to enter without being on a Gogo-equipped Delta® Air lines flight, odds of winning, prize descriptions, restrictions, etc. Sponsor: Gogo LLC, 1250 N. Arlington Heights Road, Itasca, IL 60143. 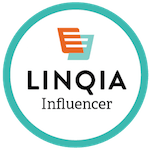 *Valid for a certificate for 2 roundtrip airfare ticket(s) for a value up to $ 1,000 from any city in U.S. 50 states, District of Columbia, or Canada serviced by Delta Air Lines to any Delta Vacations destination in the U.S. 50 states, District of Columbia, Mexico or the Caribbean, $1,500 to spend on hotel accommodations at the hotel of your choice for 4 nights. No purchase necessary. Must be U.S. resident 18 or older. Ends 1/2/2014, 11:59:59. Void where prohibited. To enter without being on a Gogo equipped Delta Air Lines flight, visit gogoairholidayprize.prizelogic.com/amoe.